I found that I started receive much less invitations lately. I tried searching from my freelancer account in my area by key words and found my profile on the first page and even on the first or second position. 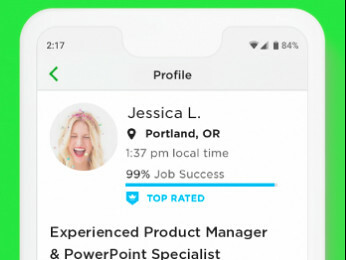 That's not a surprise becuse I have Top Rated, 100%JSS, 100% clients would recommend me, a lot of relevant jobs and never had a score less than maximum from the beginning of my work on Upwork platform. But when I tried the same search from my client's account I could not find my profile even when I went through 30+ pages. Most of the profiles I saw on those pages was zero-earned profiles, a lot of profiles with poor JJS, etc. I tried applying filters but the result was almost the same. It turnes out that finding a high-quality freelancer becomes almost impossible task for a client. There's no much clients who can spend hours reviewing tons of newbie freelancer accounts. By the way, not long ago I didn't see any difference between search results for client and freelancer. This is odd improvement in my opinion. I think it is in our common interest to create conditions for the best freelancers so they can earn more and faster. But when I tried the same search from my client's account I could not find my profile even when I went through 30+ pages. 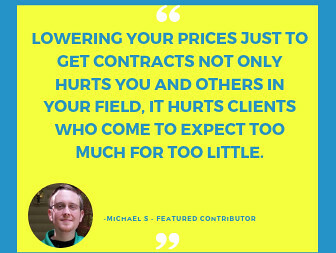 Does your client account have a history hiring people of your caliber and at your price-point? I didn't hire a lot but I have $1700 contact which is comparable to contacts that I have myself. My friends tried the same search from their accounts and got the same results. Do you mean that search results may vary depending on client's history? Just to confirm that search results from a freelancer and a client profile are not the same. Additionally, freelancers in search results are showed on a rotating basis so that everyone gets a fair chance to be discovered. I also searched your profile from a client account and was able to locate it in the first 3 pages. Can you tell please what key word did you use when searching? Could you please send me a screenshot via PM where you found your specialized profile with $0 earnings, thank you. I'm experiencing the same issue with $0 earned for my specialized profile in the list of searched freelancers. Though, all the info in my specialized profile is displayed correctly. Could you, please, fix the issue? I want to add my thoughts a bit. I had 25-30 visits of my profile per week in past summer and I had ~20 invites per month. Of courst 95% of invite were rubish from guys looked for cheap freelancers, but I remeber $2,500 and $1,200 fixed contracts in May-June. Of course I got many hourly invites and succsessful completed all jobs. It means clients were able to see my profile and suggest me project. What I see now. I see profile views go to 0. It's not joke, I have 0 views on this week. You said that freelancers feed for clients depending on client's history. Sorry is it my problem that I have $40/h rate and $70k+ earnings? Why my succsessful work and my earnings should hide my profile from clients? What do you think if large company starts work on upwork and will see profiles of $5/hour guys which agree to work for plate of eat? As I understand any new client never see my profile until he will spend lots of money and no matter what difficulty of project client needs. Is it correct? 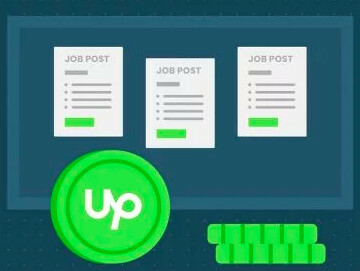 Why Upwork makes much problems for TOP freelancers which earn Upwork's money and promote cheapests workers? Why Upwork doesn't sort profiles by relevant skills and experience?